Richard is back from Tanzania, and Village Life Outreach Project’s latest co-op Jesse Larkins is continuing construction work on the Roche Health Center Housing project. The building is looking good, but check out the team we’re proud to be a part of pulling this truss together. 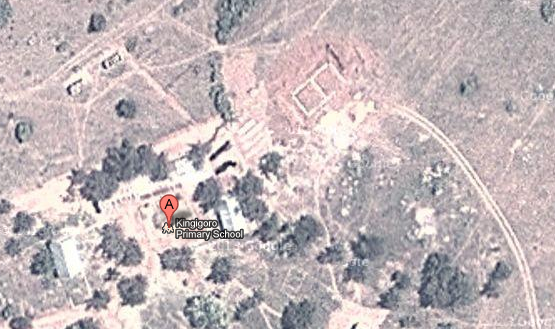 After many months, Google Maps has approved the locations of the Kingigoro Primariy School and the Roche Health Center. If you are ever in East Africa, all you have to do it type the names of these buildings to get driving directions! Alternatively, you can search for these locations today and see the progress Village Life is making. The completed walls and foundation of the new school building are shown below. Richard Elliott will lead EWB-UC students on a trip to construct the roof in April.